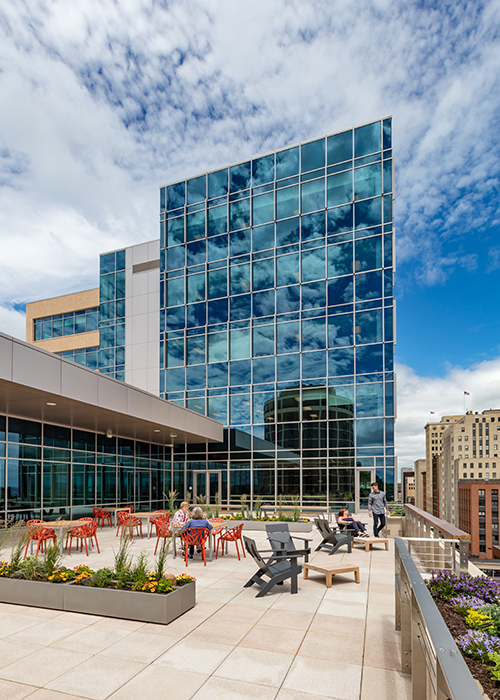 Maurices Headquarters is a new 11-story, 200,000 square foot office building in the heart of downtown Duluth. Spanning an entire city block, maurices is the largest downtown development in the City’s history. 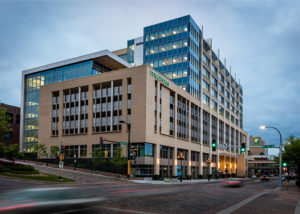 The building features an entrance lobby and retail tenant space at the ground level, a rooftop terrace overlooking the city, and a fitness center. 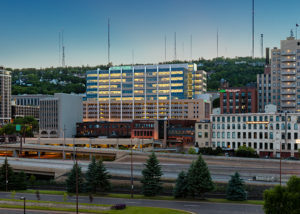 A city-owned- and-operated parking ramp accommodating 500 vehicles is integrated into the structure at levels 3-6 and partially at level 2. 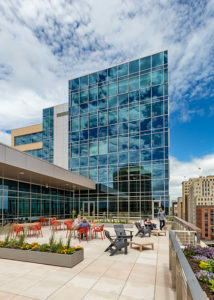 Also on level 2 are public spaces and a loading dock. 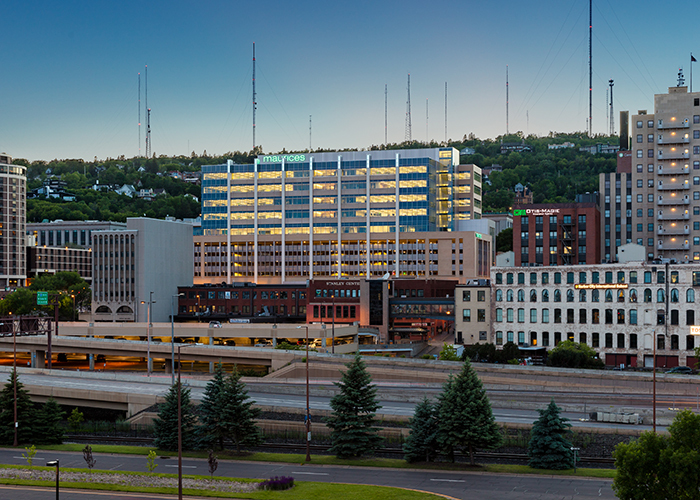 Structural systems are cast-in-place, post-tensioned concrete, levels 1-7, and steel-framed slab on metal deck, levels 8-11 plus the roof. 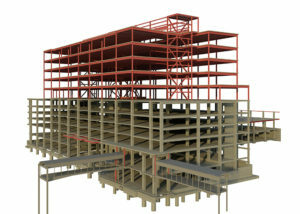 Lateral loads are shear walls to level 7 with steel braced frame above. The foundation is shallow drilled piers bearing on high capacity bedrock. 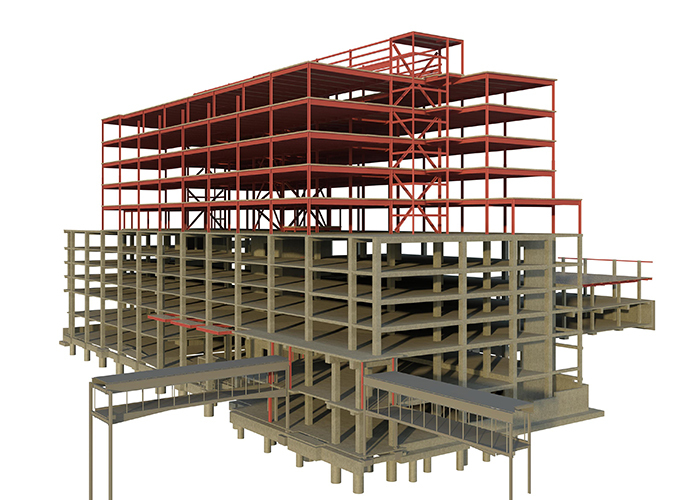 The project maximizes the benefits of building information modeling for design phase services such as design, construction drawings, and specifications and construction phase for construction estimating, procurement and fabrication, sequencing, and clash detection.